Lady Gaga and Starbucks share a mission: to build a kinder, braver world. Through the Born This Way Foundation, Lady Gaga has inspired her fans to embrace kindness in their communities—online and in the world. With your help, we can empower young people to spread more kindness. Introducing the Cups of Kindness collection: four very special drinks as delicious and refreshing as they are beautiful. 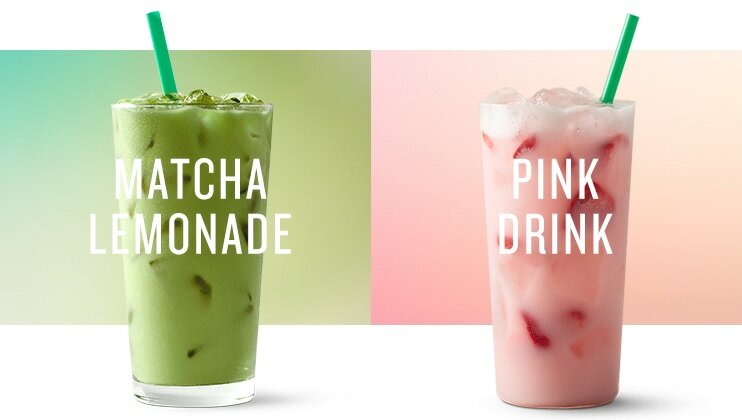 Two new creations, Matcha Lemonade and Violet Drink, will join Pink Drink and Ombré Pink Drink as instant summer favorites. For each one you purchase between June 13 and June 19, Starbucks will donate $0.25 to Lady Gaga’s Born This Way Foundation and the Channel Kindness project. A project of the Born This Way Foundation, Channel Kindness empowers young people to document stories of kindness in their worlds. Grounded in the belief that compassion and kindness are key to building vibrant, productive communities, the platform gives young people the resources and opportunities they need to help change the world—one act of kindness at a time. Ombré Pink Drink As delicious as it is gorgeous. This refreshing Ombré Pink Drink combines our light, fruity Cool Lime Starbucks Refreshers® beverage with cool, creamy coconutmilk and a splash of Teavana® Shaken Iced Passion Tango® Tea, for a bright burst of hibiscus. 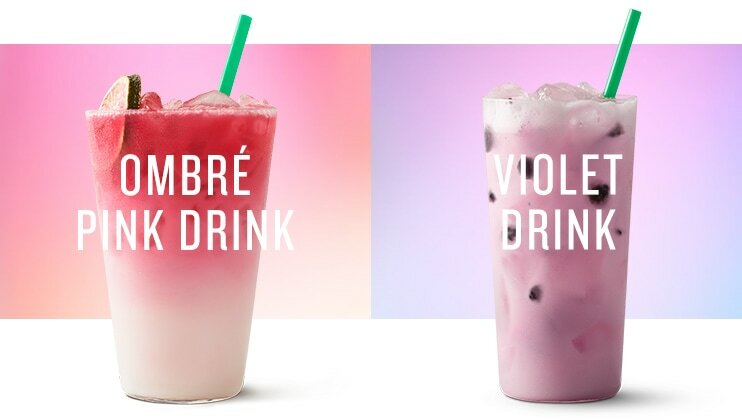 Violet Drink The sweet blackberries and tart hibiscus of our Very Berry Hibiscus Starbucks Refreshers® beverage swirl together with creamy coconutmilk and ice, creating refreshing (and violet-hued!) sips. Matcha Lemonade Our finely ground Teavana® matcha green tea is combined with crisp lemonade and then shaken with ice to create a refreshingly sweet, delicious drink that's a delightfully vibrant, green hue. Pink Drink Our crisp, Strawberry Açaí Starbucks Refreshers® beverage, with its accents of passion fruit, is combined with creamy coconutmilk. It’s a fruity and refreshing sip of spring, no matter what time of year. Starbucks will donate $0.25 US for each Pink Drink, Ombré Pink Drink, Matcha Lemonade and Violet Drink sold from participating Starbucks® stores in the U.S. and Canada to the Born This Way Foundation to empower young people to be braver and kinder. 6/13 through 6/19. Visit https://bornthisway.foundation. Starbucks will make a minimum donation of $250,000 USD.